We have 70 consumer reports for treatment of Pain (acute) with Doxycycline. 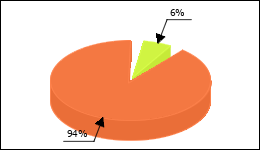 Pain (acute) used in 6% of cases. I had pain in my hands, in my legs. Could not sleep at night in pain, and did not feel like I should lay my hands and legs to some pain free. It was unbearable. I had to take her because of a tick bite. Now have a strong nerve damage and take Gabapentin-1 A Pharma 100 mg, since my pain is pretty much gone. To remedy the pain in the water during the retention of the double J-splint after kidney stone removal, I have for 10 days ever 3 tablets Spasmex, 1 tablet tamsulosin and 1 tablet Doxy 200 1 A Pharma taken, the latter after the prophylactically ingested Drug Ciprofloxanin Ratiopharm did not prevent cystitis. Under Doxy 200 1A Pharma, the blistering was treated after 4 days, kidney infection was avoided (despite the DJ splint that keeps the bladder-kidney connection open, and the remainder of the treatment was for the sake of prophylaxis.) Spasmex has reduced the pain, but not Of the documented side effects, (mild) abdominal pain occurred, and there were no other side effects.